Fall/Winter 2010 Flared Pants Fashion Trend. 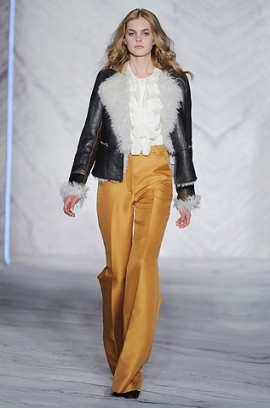 The '70s make their comeback in a more fabulous and sight-pleasing manner through the various style pieces presented on the runway. The Fall/Winter 2001 flared pants fashion trend brings back the time of the all-body shape flattering and universal fashion designs that could be easily embedded in both casual as well as formal chic outfits. 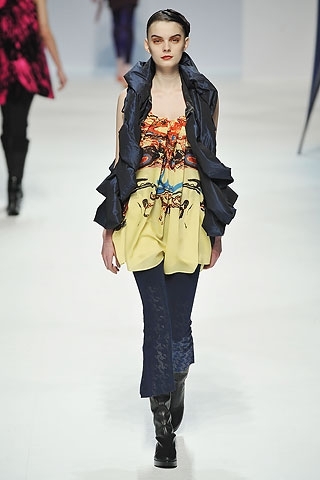 Feast your eyes on the latest designer collections that offer a large cavalcade of the most voguish flared pants on the market. It's one of the well-known facts that great designers tend to let themselves overwhelmed by the style bites of the past decades. These key pieces occupy a prominent position in their collections over and over again in a more updated and up-to-the-minute version. 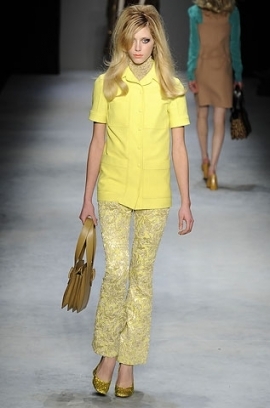 This time among the most celebrated eras the '70s turn came and also that of the fabulous flares. 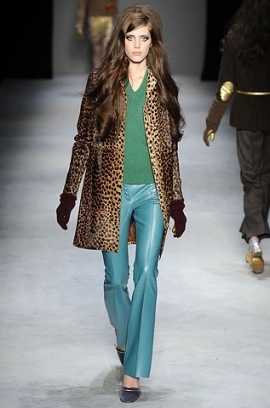 The Fall/Winter 2010 flared pants fashion trend would banish the supremacy of the skinny jeans and skin-tight pants. Instead it's time to play up the volume and bulky textures. This is indeed the secret weapon to offer everyone the chance to sport these cute pants designs this season. Spot the latest designer collections that would furnish you with loads of creative outfit ideas to sport. 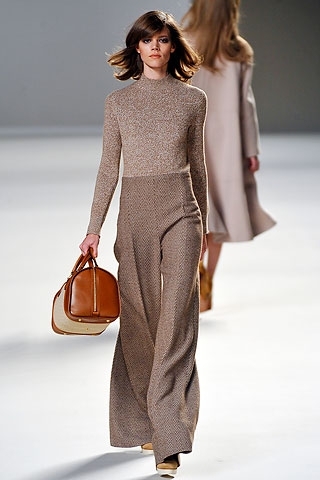 Taking a flight back in time and leaving the atmosphere of the '70s overwhelm you is the best means to build up a feminine and high brow outfit embracing the flirty flared pants trend. Chloe and Derek Lam are some of the great masters of breathing life into past style trends and turn them into wearable and more, uber-stylish designs sported also by those who might not have the sense of nostalgia. Choose this pants style in its classiest version if you would like to maintain the romantic and dainty allure of your look. Pair it with tight tops or bulky and silky blouses for a more business chic and uptown flair. Neutral tones as well as the eye-popping and bright colors can be easily embedded into a 'versed-with-latest-fashion-trends' look. Flared pants are also some of the top notch elements in order to pull off a more retro-inspired and unique outfit. The authentic style ideas and matchings as well as accessorizing all contribute to the overall alluring look. 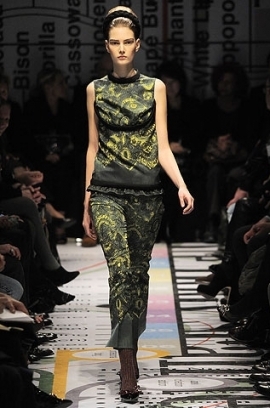 The main theme of the A/W 2010 Balmain collection is clearly rock'n'roll, therefore flare pants get a brand new role namely to ere-create the atmosphere of the '70s rock bands with those classy and sophisticated prints and designs. On the other hand Phillip Lim takes a more Bohemian turn and lines up a multitude of outfits using fur as well as the trademark earth tones of the rainy season and offers a collection of Boho chic apparels in the tradition and heritage of the cult movie 'Almost Famous'. Choose which style tendency your prefer and book your trip to ride the wave of the funky flared pants trend and launch a real craze among your friends with your chic and suave outfit. The flared pants trend is further enriched by the contribution of other great designers that would also claim their right to popularize the look with their unique style fantasy. Rochas with the A/W 2010 RTW collection brought back the 'groove is in the heart' look which was oh-so-popular especially when combined with the most vibrating and eye-popping shades of the season. Opt for this look if you would like to stand out of the crowd. 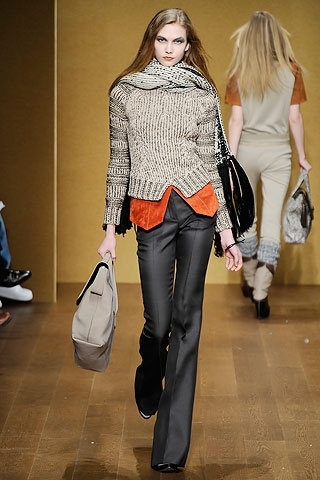 Prada and Issey Miyake with the stylish above the ankle flare pants adopted a more feminine and high-class perspective to this trend. The retro-inspired aura is still there, with a less prominent emphasis. The length of these pants styles would offer you the chance to sport your favorite fall boots as well as pumps.Ankle and right-above the ankle flare pants would serve as the perfect alternative to adopt and flaunt the latest shoe and boots trends.